Mileage drives every truck buying decision, because of efforts to improved mileage; this year marks the return of viability and subsequent success of the new pickups. It can be said that new truck sales have become the backbone of the American economy. Truck sales are now very strong. This comes as a surprise since the pickup truck market fell flat starting in the year 2008, a downward trend that would continue for four years. 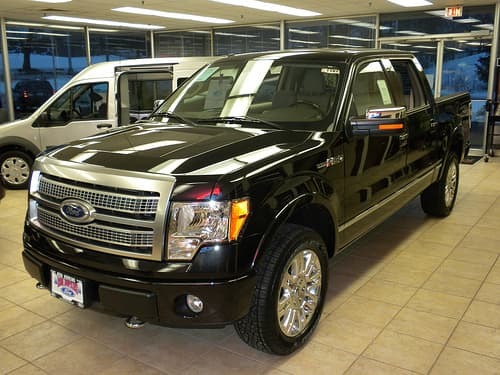 Now it appears that 2013 marks the return of aggressive truck buying, this is especially true when it comes to consumers who are interested in purchasing heavy duty pickups. The final quarter of this sales year, has been a decisive one for all automakers. Truck sales were up 22 percent in November, thanks in part to the promising growth of the housing market. The economy is showing positive signs of recovery, and as it strengthens truck owners feel confident that this barometer will continue to rise. As a result they are willing to trade in their older trucks for brand new ones. Indeed, all major automakers have seen an increase in pickup truck sales in the final quarter of the 2013; this includes Chrysler, General Motors and Ford. The interest in pickup trucks is revealing that as Americans are starting to return to work, they see value in the housing market. Not only are they working more, but they can see signs that there’s going to be even more growth ahead, time to trade-in aging trucks because they’re no longer concerned about being able to afford the payments. Consumers demanded pickup trucks with better mileage, when automakers responded, sales immediately started to creep up. But, this latest increase in sales is also associated with aggressive advertising and deep discounts that were offered as incentives. Going forward, it’s expected that truck sales will continue to increase as the new housing market will trigger a response from workers. We’re now moving forward in the United States in the areas of housing and economic development. Pickup truck sales have exceeded all the Wall Street analysts’ predictions. According to the independent automotive research firm, Autodata, industry sales for cars have not rivaled those of pickup trucks. This is because trucks depreciate at a slower rate than cars and truck owners have confidence that their trucks will hold up for years, even in severe weather and when driven over rough terrain.